You can't import olm to Apple Mail directly. 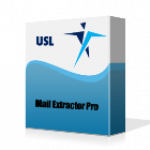 So convert OLM to Apple Mail file format using "OLM Extractor Pro". Import OLM to Apple Mail – Get it Done the Right Way! You were switching to Mac Mail from Mac Outlook (Import OLM to Apple Mail). So you archived the emails to OLM file. But then you noticed that Apple Mail has no such option to open or import files with .OLM extension. This comes as a surprise to many people. Since both Mac Mail and Mac Outlook are two most popular clients, it is easy to wrongly assume that their data files must be compatible with each other. How then can you import OLM to Apple Mail? Or move emails, contacts, and calendar entries stored locally in Mac Outlook to Apple Mail? One of the methods that many people often propose is to sync data online to an email account server that’s IMAP enabled. This way you can add the same account to Mac Mail and then get the data synced back from the server to the client. Without going into much details, let’s just say that it is can be disastrous to do that. It can be just fine for few emails, but not for an entire database. It is a lengthy process, very complicated for users with no experience, and often ends up with damaged data. It is not worth it to go that direction. Another method that experienced users propose is using a third party software application. It is the safest and most reliable way to deal with OLM file conversion. You will find this method most recommended by the experts who are skilled in email migration. But the question then gets asked – there are many OLM file converters, which one to use? Which one is the reliable tool, and which ones are inferior? Many of the tools helping to convert OLM files for importing to Apple Mail do not pass the test above. Their biggest weakness is flawed conversion logic that misses many items from the files, such as images, headers, metadata, and attachments. They also have graphical interfaces designed without any attention to the convenience of the end-users. And, they are painfully slow. One gigabyte of data might take more than 60 minutes to convert. However, not all are same. Few of the tools are useful with decent interface, algorithms, and speed. “OLM Extractor Pro” is a tool by USL Software that is now widely accepted as the most efficient tool amongst all OLM file converters. It runs on Mac and has all the requisites for a useful application for email migration. It meets the basic check mentioned above, and goes beyond that. The features and interface are developed with utmost care for the end users. “OLM Extractor Pro” is built to deal with heavy email migration jobs where multiple OLM files are required to be converted to Apple Mail in one go. The tool is most used for OLM to Apple Mail migration, but you can convert OLM many other formats like Thunderbird, Postbox, Entourage, Eml file, or Rge file. The characters in languages other than English can get tricky during the data extraction. USL designed “OLM Extractor Pro” in a way that fully supports conversion of non-English text. Want to give it a shot? You can try it today for free. Download it using the link given below.